Ian is a senior lecturer in the School of Science and Health. He teaches students in water science and management, environmental planning and environmental regulation fields across several degree programs. Prior to WSU Ian worked as a scientist in the urban water industry. His research interests include freshwater ecology, water chemistry and water pollution (science and management). Ian has a long standing interest in the impact of urban development and coal mining on streams and rivers. 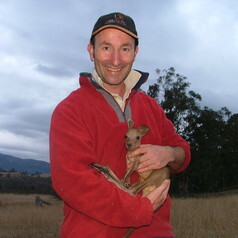 He has provided independent expert testimonies for environmental science matters for the NSW Land & Environment Court. He is also an enthusiastic participant in community engagement activities in water science and management projects and is often called on to provide expert commentary in the media. He also frequently visits primary and secondary schools, on behalf of the University, to deliver classes to encourage students to pursue study and careers in science, technology, engineering and maths.